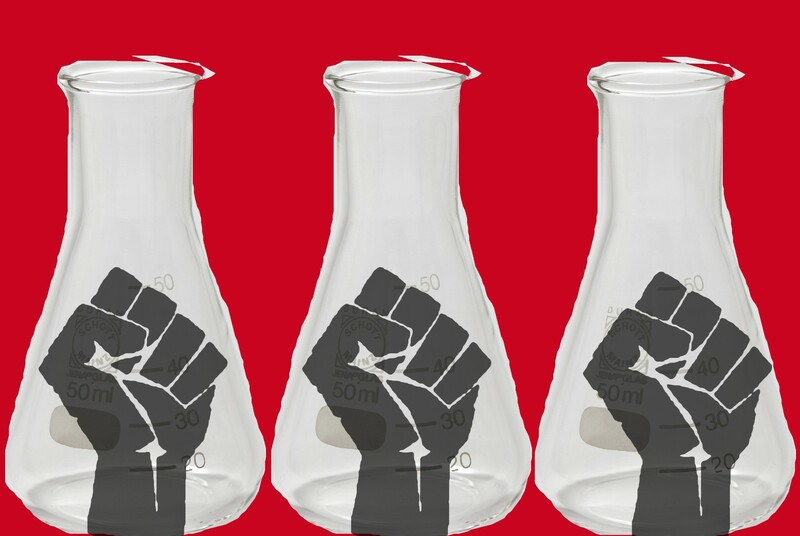 A trio of "scientists against a fascist government" set out a program for resisting trumpism with science, delving into the moral duty of scientists to resist the perversion of their work to attain cruel and evil ends. Trumpism includes savage attacks on ideologically inconvenient science -- climate science especially -- as well as xenophobic attacks on scientists themselves; as with Max Planck's arguments for sparing Jewish theoretical physicists (because they were different from other kinds of Jews), the trumpist agenda will likely grant exemptions for Muslim scientists if they're working on projects revelant to the Trump program -- there are a lot of oil engineers who graduate from universities in the Islamic world, for example. In order to move away from a constrained, collaboration-oriented stance, we propose that starting points for discussion should include those with the most power taking the highest risks. Among a growing number of proposed ways to engage in resistance, one option is for tenured faculty to engage in work slowdowns and strikes, with teaching and committee work stoppages. We cannot afford to normalize this administration’s attempts to subvert the rule of law, which has often fallen short in protecting people at the margins and more often than not has established their place at the margins. It is not up for debate; science can be, and has been, used as a tool of fascism. We cannot do business as usual anymore, regardless of how much we love our research or how important it feels. It is for the love of science and our long-term ability to study it that we must take a stand now, while there is still time. This is not just a matter of individual action, but collective action: Faculty and administrations must visibly oppose marginalizing policies, whether they target immigrants from majority Muslim countries or further institutionalize destructive mass incarceration of American residents. We believe that scientific research is a creative enterprise and expect that scientists can and should come up with creative ways to stand in solidarity with society’s most vulnerable, whether or not they are members of the scientific community. There is a proud tradition of the revolutionary scientist. Linus Pauling, a nobel laureate and protein chemist, worked with the Black Panther Party to develop inexpensive diagnostic tests for sickle cell anemia. Albert Einstein worked as an anti-racist and peace activist during and after World War II. Max von Laue resisted Nazi infiltration of German physics and maintained relationships with Jewish scientists, while publicly eulogizing those who were lost. This is a tradition we see as our duty to uphold.